English 中文 Translation Provided by Web Lite Translation Corp. The Cavalry Construction Group offers a complete home construction service, there really isn’t anything that we can’t build or maintain when it comes to your home. Often we will be called in for a specific job, only to be relied upon for a full interior or exterior renovation. 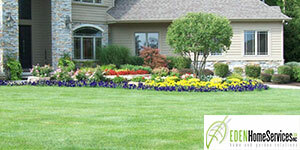 Not many landscaping companies can claim renovation or demolition experience. One year later, the “project” continues to impress us and the neighbours. We love the work you have done! Your employees are talented, hard working and very personable. The fish are adapting to the new pond nicely! We look forward to working with you again. For all your home maintenance needs we have developed Eden Home Services. 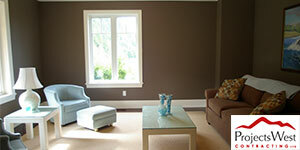 This division of our company specializes in professional and reliable home maintenance all year round. We can handle everything from full handyman services to simple gutter cleaning or power washing. We have been in the home renovation and general construction business for over 30 years specializing in kitchen, bathroom and full house renovations. Projects West Contracting is our renovation division and we are experts at total project management – keeping the project on time and on budget. 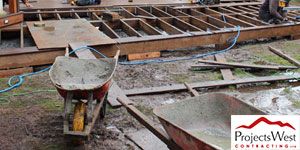 The Cavalry Construction Group is an experienced demolitions expert. We specialize in residential demolition and asbestos removal. In addition, we will clear your work site and haul away materials, all while maintaining the highest levels of safety and environmental stewardship.